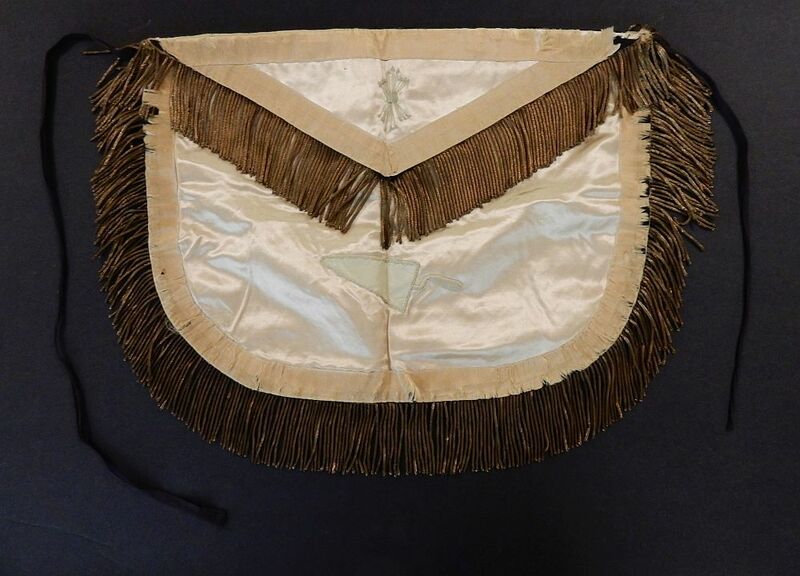 This decorated lambskin apron was discovered on the body of a dead French office after the Battle of Waterloo on 18th June 1815. 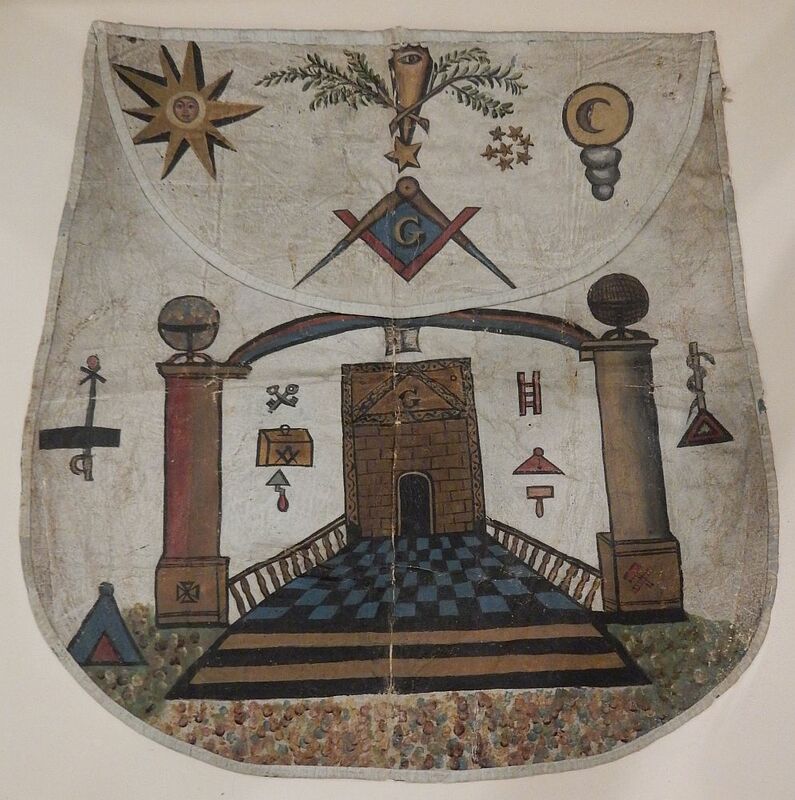 It is believed that at that time it was common practice for Masons involved in battle to carry proof of their Masonic membership in order to possibly receive improved treatment in the event of capture and imprisonment. 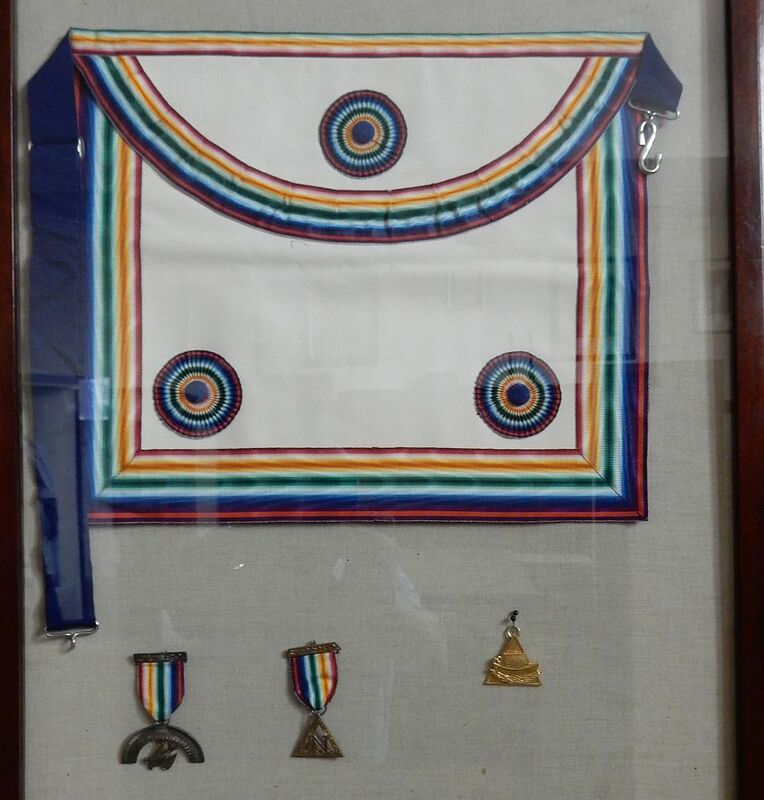 The apron as received by the Warrington Museum of Freemasonry had been for many years fastened into a display frame with just the decorated portion of the apron visible behind glass. The apron had been fastened into the frame by many small steel nails which had rusted over time and both the punctures and rust staining are clearly visible on the above photograph together with the area which had remained visible on through the glass and which has suffered some light damage. The apron has now been professionally conserved remounted so that the whole apron is visible. 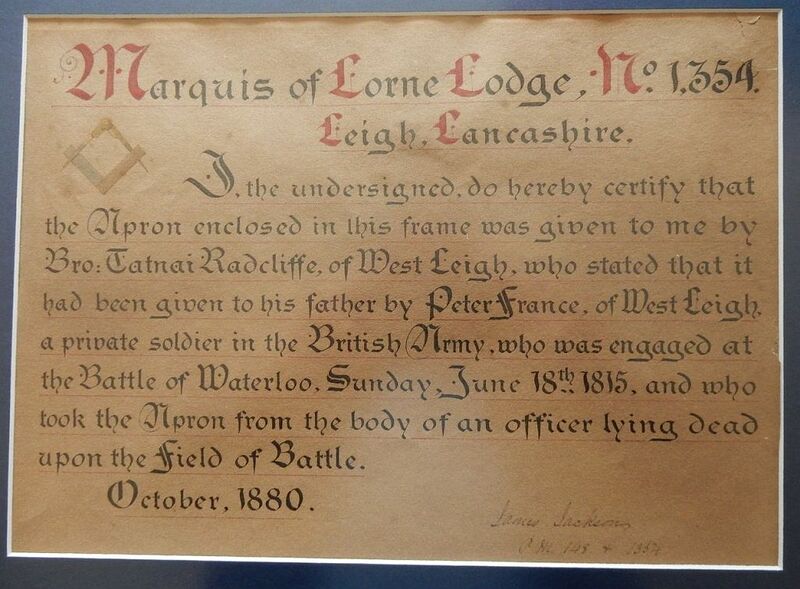 The above is a photograph of the signed provenance notice stating the history of the Waterloo Apron and which was mounted in the original display frame together with the apron. This notice has also been remounted together with the conserved apron. 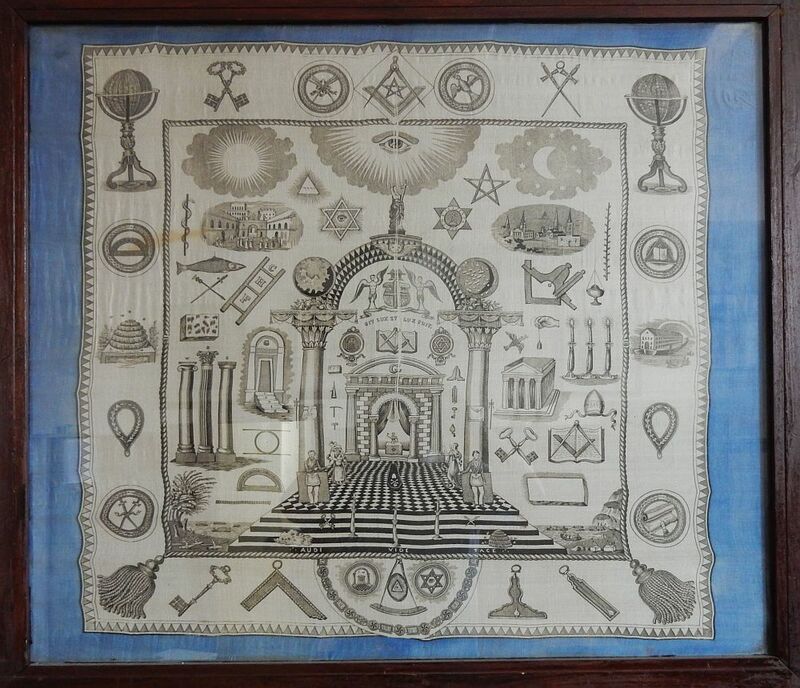 Early 19th Century Kerchief, thought to be a snuff kerchief. 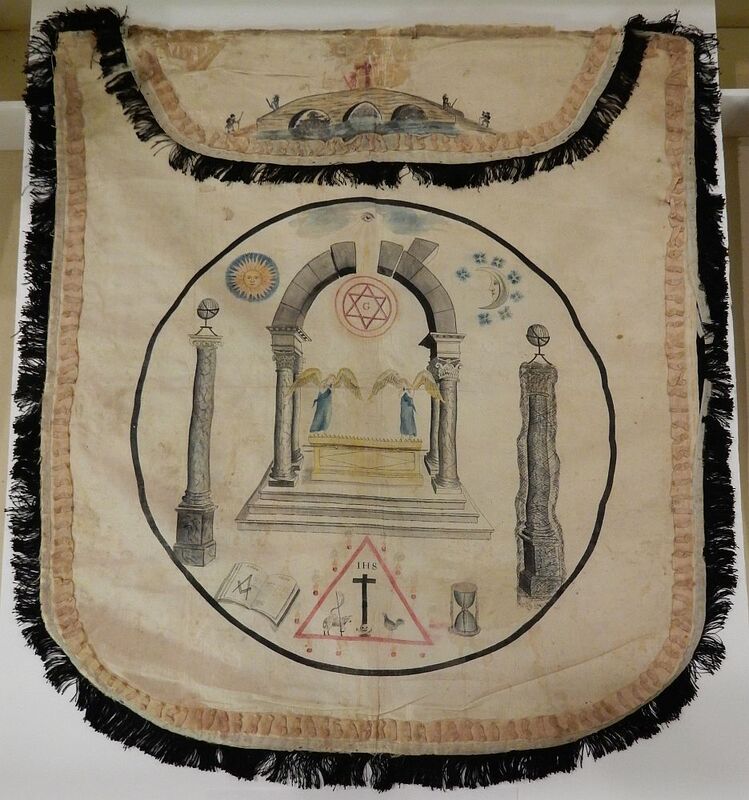 Hand painted on silk apron Circa 1780, depicting a triangle indicating Knights Templar. 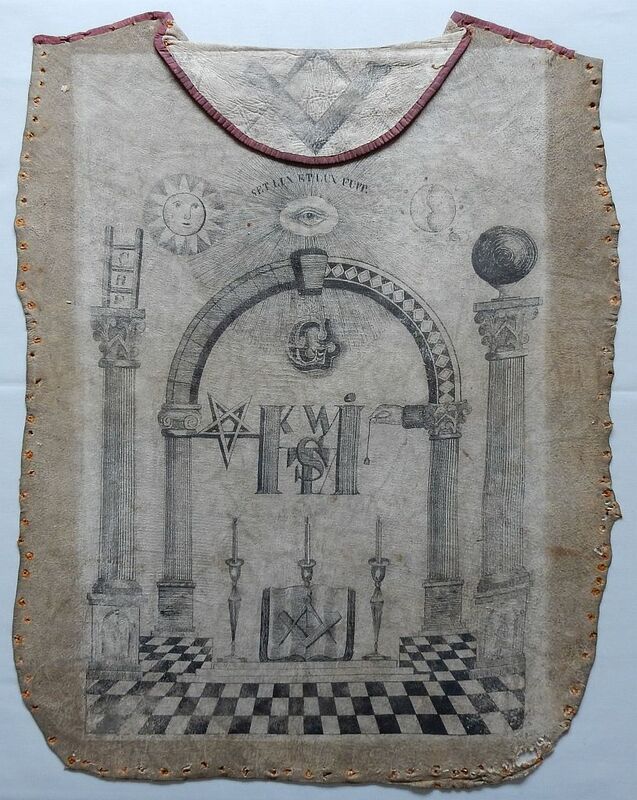 The flap is the Israelites fighting on the bridge, part of the 15th degree Scottish Rite. Both Craft and Royal Arch are represented. The Apron is believed to be either Irish ot Antients in origin. Presented by W Bro J Hodges, Past Provincial Junior Deacon and Past President of the Merseyside Association for Masonic Research. On loan from the West Lancashire Provincial Grand Lodge. 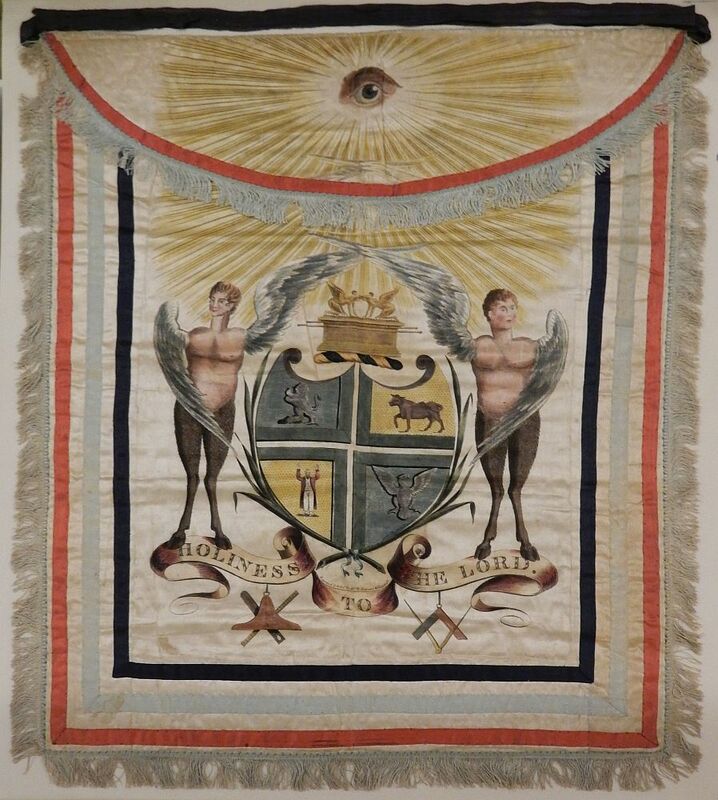 Hand crafted and stitched silk apron Circa 1780, depicting the Coat of Arms of the Antients Grand Lodge. 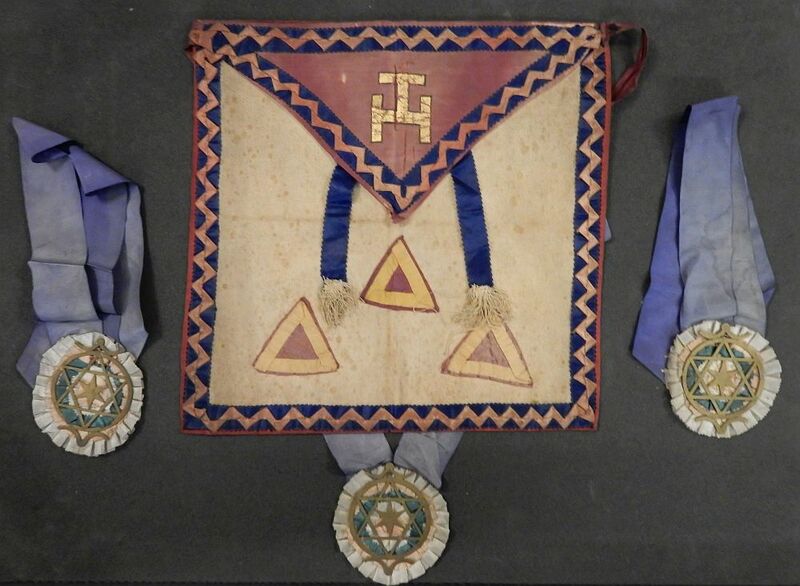 The trim represents the Craft, Royal Arch and Grand Rank. Engraved and sewn by Bro W Newman, Widegate Street, London. Hand Stitched and painted apron Circa 1790. Aprons such as these were painted and decorated according to the wish of the wearer and it is seldom possible to identify the person or Lodge to they belonged. Royal Ark Mariners apron and jewels. 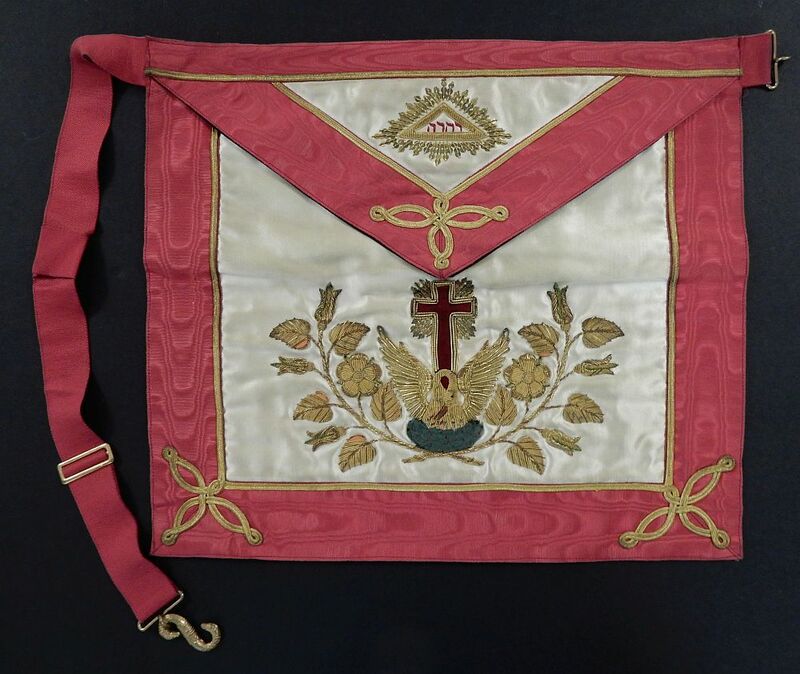 Rose Croix apron, which are no longer worn. In 1823, as a protest, some Lodges ceased paying their dues to Provincial Grand Lodge which led to them being suspended from United Grand Lodge in what became known as the ‘Liverpool Rebellion’. The rebels re-established a Grand Lodge according to the Old Constitutions based in Wigan and which survived for some 90 years before being re-established within United Grand Lodge. If anyone can offer any further information regarding this item, please contact the Museum.